Feed Items are stored in your WordPress site as a custom post type, making it easier for you to import and export them at will. 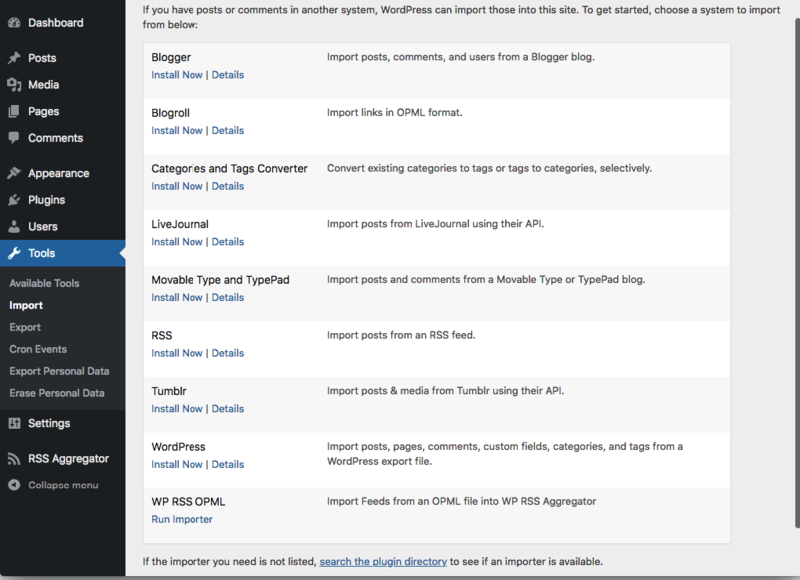 The feed items will be imported and found in RSS Aggregator > Feed Items, and can now be displayed using the shortcode . To export your feed items to a file, such as to keep backups while running some tests or to migrate them to another site, simply navigate to Tools > Export in your WordPress dashboard, choose Feed Items and click the Download Export File button. Please note that if you are exporting from a site which uses our premium add-ons and re-importing the feed items into a site with, for example, only the core plugin, the settings of the premium add-ons will not be available on the new site, as expected.